Once the design phase is complete we will present the project concept and design to the property manager or your landlord for approval. Once we have their approval, we will follow-up by obtaining the appropriate city or county permits for your custom sign. 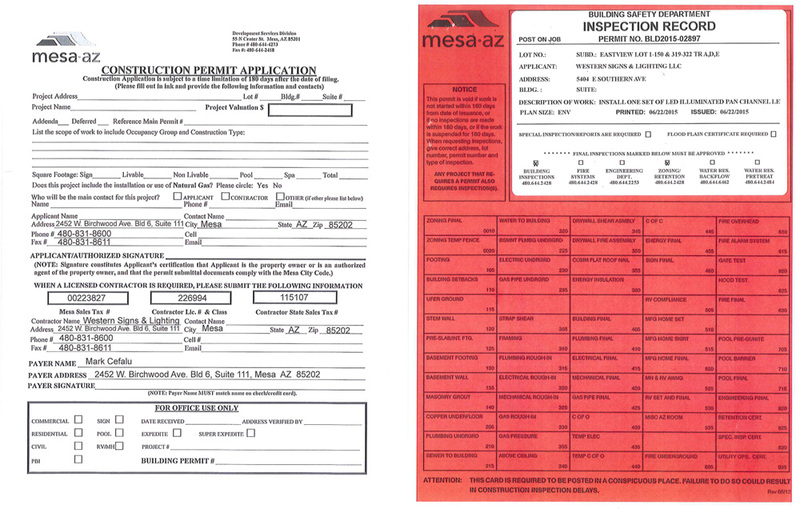 Our numerous years of experience in the Phoenix valley means we understand the various ordinances and regulation requirements that your sign will have to meet. This is our way of using all of that experience to simplify the process for our clients.